This conference took place 12-15 May 2011in St. Gallen, Switzerland, and, following the two World Congresses on Matriarchal Studies (2003 and 2005), was the third large conference on matriarchy held by International Academy HAGIA. At the second World Congress in San Marcos, Texas, in 2005, indigenous researchers and activists especially were invited to present their work on their own extant matriarchal cultures. In this way they recognized the similarity among their diverse indigenous cultures, even though they lived on different continents: Asia, Africa, North and South America. Along with western scholars critical of patriarchy, they founded an international network, “Matriarchal Studies.” The western scholars learned much from the wisdom and everyday life of matriarchal societies, while the indigenous researchers saw themselves as supported by the theoretical framework of modern Matriarchal Studies, and were encouraged in their efforts to protect their own valuable cultural heritage. 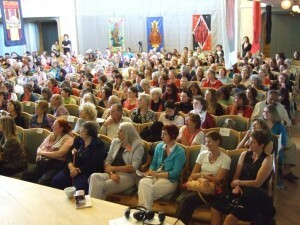 As with the two preceding conferences, this one was enthusiastically received, and was a great success, with about 500 participants – mostly women, and some men. It resonated far beyond the German speaking countries, and included representatives from other European countries, the USA, Latin America, India, South Africa. The resonance reflects the fact that today the runaway global crises, caused by western civilisation, are leading more and more people to seek a fundamental change in their way of living. From modern Matriarchal Studies they take encouragement to find ways toward a form of society that is gender-egalitarian and balanced in every field of society, and especially one that attends to Mother Earth as our foundation. Again, Heide Goettner-Abendroth was responsible for the program and for the administration of the conference. She was actively supported by Cécile Keller, who coordinated the entire conference, and by Christina Schlatter, the on-site organizer. Heide Goettner-Abenroth was joined by Ruth-Gaby Vermot-Mangold, Chair of the “1000 PeaceWomen across the Globe,” and St. Gallen City Councilwoman Elisabeth Beéry in the opening of the conference. The first day of the conference was dedicated to presenting some important findings of Matriarchal Studies, especially by indigenous speakers from still existing matriarchal cultures. They came from North and Central America, Africa, and Asia, and spoke about their own matriarchal societies: Barbara Mann on the Iroquois (USA); Marina Meneses on the City of Juchitàn (Mexico); Bernedette Muthien on matriarchal social patterns in Africa; Patricia Muthien and Valentina Pakyntein on the Khasi people in Northeast India; Letecia Layson on the indigenous priestesses in the Philippines. Their authentic presentations were deeply impressive and moving. Their political fervor came through particularly clearly, their commitment to maintaining their matriarchal ways of life, or to re-establishing those that had been destroyed under colonialism. Finally, some of the younger researchers presented their recent findings on matriarchal social patterns and spirituality: Mariam Irene Tazi-Preve and Marguerite Rigoglioso. The second and third days were dedicated to the principles of Matriarchal Politics and to practical examples. For the first time, the principles of Matriarchal Politics were presented to a larger audience; this was accomplished by three theoreticians whose different concepts perfectly complemented each other: Veronika Bennholdt-Thomsen on the Subsistence Perspective, Genevieve Vaughan on the Gift Economy, and Heide Goettner-Abendroth on Matriarchal Politics and the vision of a new society. In addition, a variety of practical examples were presented from the feminist movement and other alternative movements that exhibit matriarchal values and approximate matriarchal patterns: Christa Mueller spoke on the Urban Intercultural Gardening in which people of different cultural background meet peacefully to work with the earth in an urban setting. Addressing life in their communities, which are families, or clans by choice, Johannes Heimrath and Lara Mallien (extended family in Germany), Lin Daniels (community of women in the USA) and Angela Cuevas de Dolmetsch (women’s village in Colombia) presented the matriarchal characteristics of these communities. After these, Claudia von Werlhof (Planetary Movement for Mother Earth), Siegrun Laurent (ALMA MATER Academy, part of the matriarchal movement), and Katie Hoffner (Mother Earth’s Political Party) reported on the work of their movements, which are based on matriarchal values. All these considerations and examples met with lively endorsement from the participants, expressed in frequent and lengthy applause. The reports of matriarchal activities already underway oriented those present, and encouraged them to take action, to seek a variety of new pathways out of patriarchal societies. 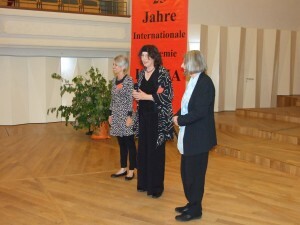 One high point was the presentation, on the second day of the conference, of a Matriarchal Manifesta in both German and English. 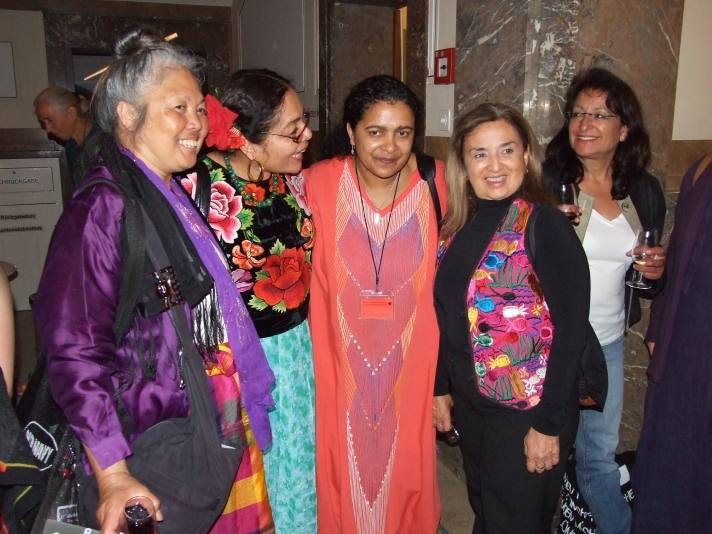 Formulation of the Manifesta resulted from the united efforts of more than 180 members of the worldwide “Matriarchal Studies” network. Many conference participants then answered the call to sign the Manifesta (see the text “Matriarchal Manifesta”). The first evening was the Celebration of International Academy HAGIA’s 25th Anniversary. 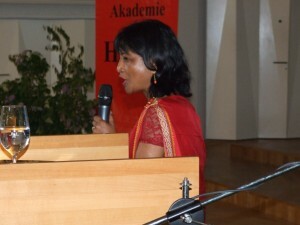 The Academy’s leaders and supporters gave commemorative speeches. With dry humor, Heide Goettner-Abendroth narrated the career path of her daughter, HAGIA: how she gave birth to her; how she sheltered the little HAGIA from the grasp of the officials of the state; how so many women helped, over the years and decades, to ensure that the daughter would grow up well; how her enterprising and adventurous daughter HAGIA undertook a variety of projects: seminars, spiritual celebrations, courses of study, conferences, and study travels in many countries around the globe. Cécile Keller told of her 15 years of involvement in the Academy, and of her particular field of Matriarchal Medicine and spiritual Healing Circles. Then, five long-time friends of HAGIA spoke of their experiences with the Academy and what it had meant to them. 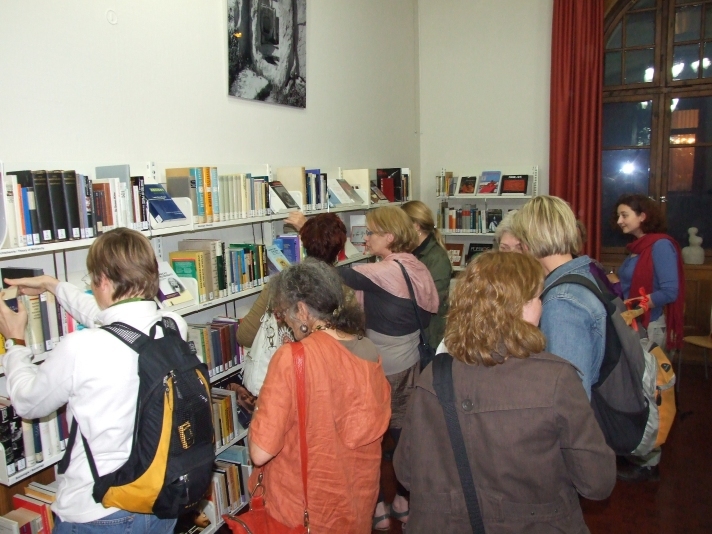 One of the high points of the conference occurred on the second evening: the Inauguration of the MatriArchiv, the world’s first scientific and international library on Matriarchal Studies. 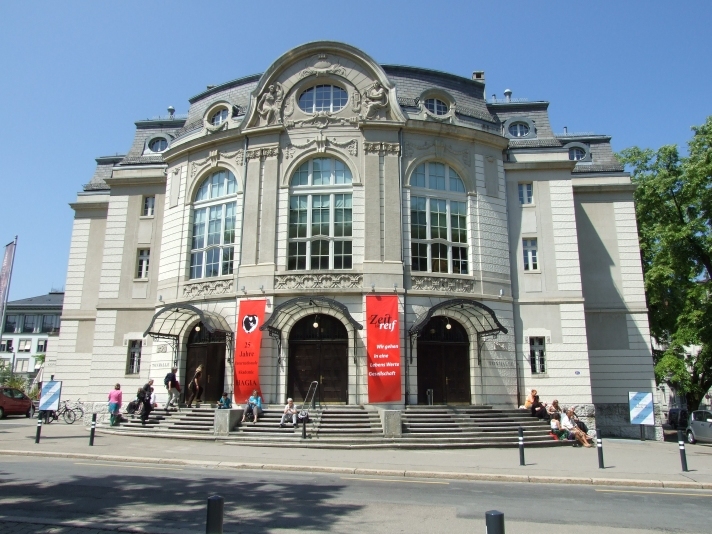 The MatriArchiv was founded in 2007, and now – with the ceremonial act in the Cantonal Library Vadiana of which the MatriArchiv is a part – it is open to the public. Its founder and director is Christina Schlatter, who has an official position at the Cantonal Library. On this evening she opened the MatriArchiv to the international public, which enthusiastically responded with their participation. At the opening, the women were packed into the rooms and corridors, also listening to the speech by the director of the Cantonal Library, Cornel Dora, who absolutely stood behind the MatriArchiv as a protector. The MatriArchiv thus demonstrated that, first of all, it is integrated into an official institution that advances it and guarantees it will be operated professionally. Secondly, it is a scientific library, which is consistent with modern Matriarchal Studies and its broad context. Thirdly, the library is structured internationally, containing books in several languages. Fourthly, it holds Heide Goettner-Abendroth’s entire body of work. These characteristics make the Matri-Archiv a unique library, and the participants were very joyful about its existence. The third evening was dedicated to Heide Goettner-Abendroth’s personal anniversary celebration, which her friends and students put together for her 70th birthday. Veronika Bennholdt-Thomsen and Kurt Derungs gave congratulatory speeches. Cécile Keller created a lovely ritual ceremony and announced Heide’s “festschrift,” which came out in July 2011, titled “In the Beginning the Mothers: Matriarchal Societies and Politics as an Alternative” (Kohlhammer Verlag). At the same time Heide’s classic “The Goddess and her Heroes” was re-published in a completely revised new edition (Kohlhammer-Verlag). The evening’s celebration closed with a film portrait: “A Life for Matriarchal Studies: Heide Goettner-Abendroth” by Gudrun Frank-Wissmann. In matriarchal cultures knowledge, politics and spirituality are interconnected rather than separate from each other. This is also the approach taken by the leaders of the conference on Matriarchal Studies and Politics. Thus, they created the entire conference as a spiritual celebration. Even the conference venue, the St. Gallen Symphony Hall, with its staircases and rooms, was festive, decorated with Lydia Ruyle’s banners depicting goddesses from around the world. The images surrounded the participants everywhere, and lent an atmosphere of celebration and peace. Each morning the conference day was begun by one of the internationally-known scholars who also are priestesses: the artist Lydia Ruyle (USA); Kathy Jones of England, who founded the goddess temple at Glastonbury (Avalon); and the author Vicki Noble (USA). 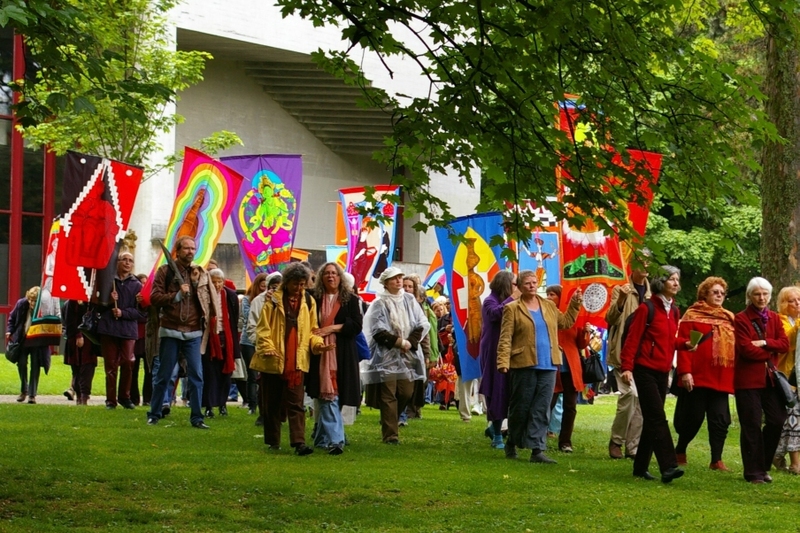 The spiritual grounding of the conference was created, together with all the participants, by Cécile Keller, who, in the park next to the symphony hall, led a series of daily rituals that build upon each other, developing day by day: the “Circle of the World.” It is the symbolic image of Earth: a circle demarcated with the quadrants of the four directions – a symbol known in Europe since the Paleolithic, and one that lives on to this day in indigenous peoples’ cultures. In this central ritual, from day to day the various continents came together via the women whose peoples and cultures came from those places. All the rituals were accompanied by priestess-drummers Isabella Verbruggen und Loes Moezelaar of the Netherlands. On the first day, the “Light of Hope” appeared in white, from the east side of the circle, and the indigenous women of Asia came forward, bringing prayers and songs from their cultures. On the second day, the “Light of Love” appeared in red in the southern quadrant, where the indigenous women of Africa danced and sang for Mother Earth. On the third day, it was the “Light of Healing” in blue that stood – in the pouring rain – in the west, and the indigenous women of the Americas brought gifts from their cultures. On the fourth day, the northern quadrant was filled with the “Light of Actualization” in black, and the women of Europe (and Euro-American women). 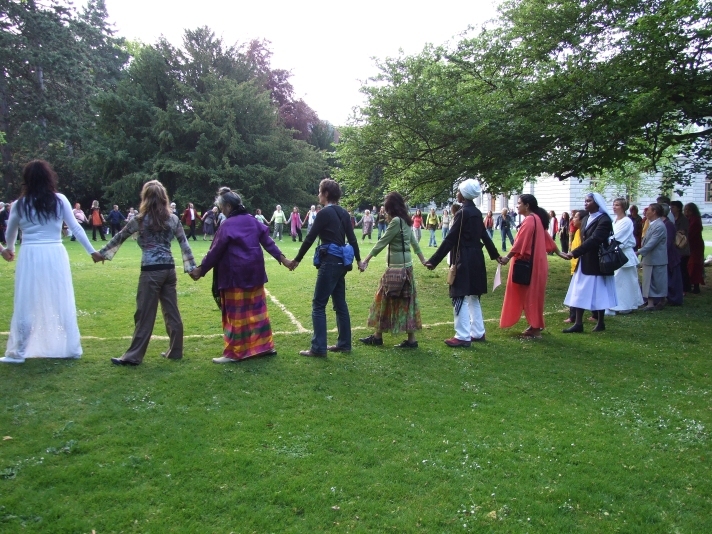 The “Circle of the World,” made present at the conference by all the women and their spiritual power, was thus made visible in this ritual, as was the sisterly connection of the participants with each other. The energy of the four lights was offered to Mother Earth for healing, and with gratitude. 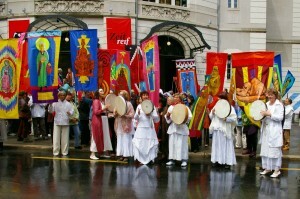 At the closing of the conference the women made a long procession through the streets of St. Gallen, to bring the energy of this matriarchy conference into the public arena. The two drummers and the priestesses of Academy HAGIA, all in brilliant white, were followed by more than 200 women. 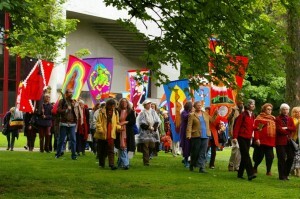 They carried the colourful goddess banners by Lydia Ruyle, which waved above their heads as they walked. Singing, they went past the labyrinth made in the park by the Zurich women, and on into the Old Town to ancient sacred places. At one time St. Gallus – for whom the city is named – proselytized here, and suppressed the old goddess religion. He founded the St. Gallen Cloister with its world-famous library, constructing it precisely over the narrow gorge and sacred creek that was worshipped then. In the Christian legend, on this very spot St. Gallus cast out “two devils in naked female bodies,” which suggests that he cast out water priestesses who guarded an ancient water goddess in her holy creek with its natural pools. The women’s procession honored, at the Cloister Square, the disappeared goddesses and priestesses, and called upon their energies. Another place visited was the spring associated with the wise, saintly Frau Wyborada; here the procession stopped. Water nymphs and goddesses were again called upon, so that the world could be whole again, and in their names the water from the spring was sprinkled about. 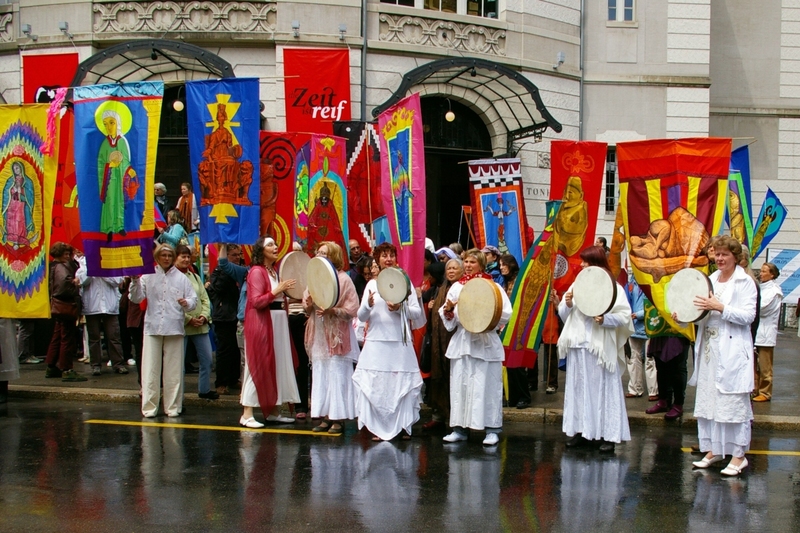 Over the heads of the women unfurled the large banner, “Gruess Goettin” by Ursula Beiler (a word play referring to the commonplace German greeting, “Gruess Gott”). When the women returned, they opened the circle which had been cast at the beginning of the conference. In that way, the whole conference took place in this spiritual frame. 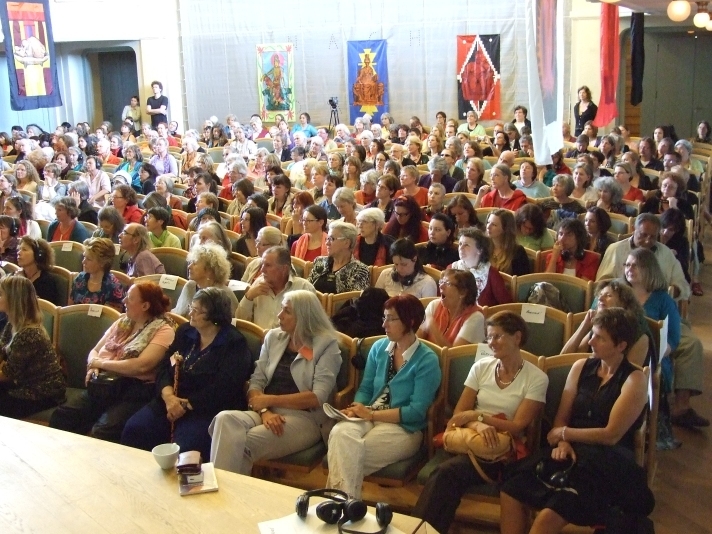 At the conference, in addition to the banners of Lydia Ruyle, there were two exhibitions: the photo exhibit on the “Matriarchal Mystery Festivals” of Academy HAGIA (by Siegrun Claassen), and the photo exhibit of “1000 PeaceWomen across the Globe”, in which women are honored who struggle in every country on earth for peace, justice and a free life for women.